The Genu Direxa Stable helps in case of knee complaints with a slight to moderate feeling of instability (ligament laxity) where flexion and/or extension of the joint has to be limited. It stabilises the knee and can help to relieve pain and support the function of the joint. By precisely applying compression, the orthosis improves sensorimotor functions – so you get a better sense of what is happening in your knee and feel safer. The Genu Direxa Stable is available in an open and a closed version. The soft material ensures excellent wearer comfort. 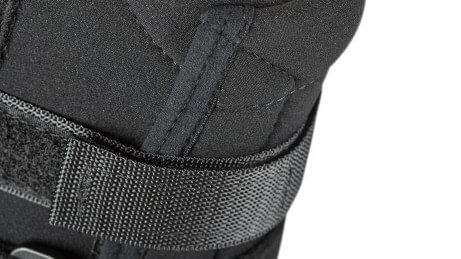 Thanks to the special textile structure, the orthosis does not slip when worn. Your technician can limit knee flexion and extension as needed in just a few steps. 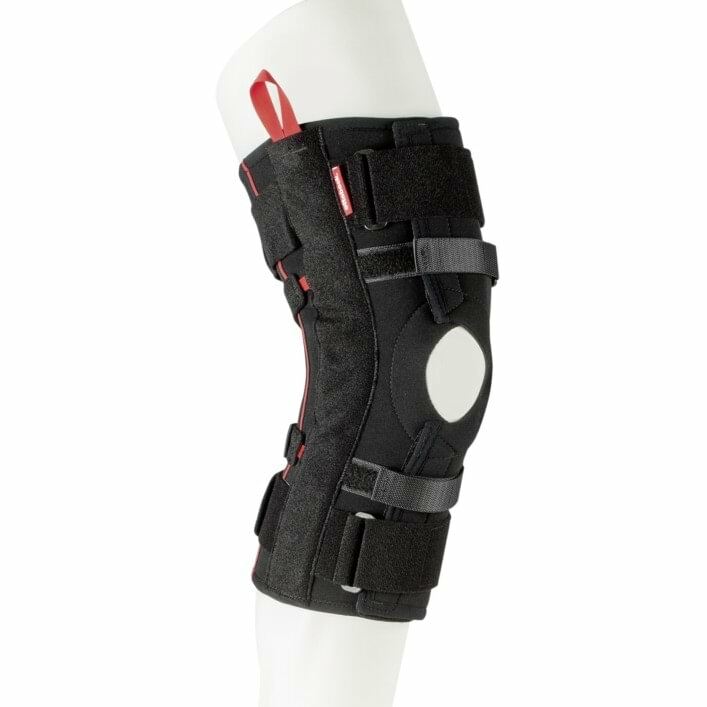 The wide, covered aluminium splints stabilise the knee with their appealing slim design. They limit flexion and extension movements. 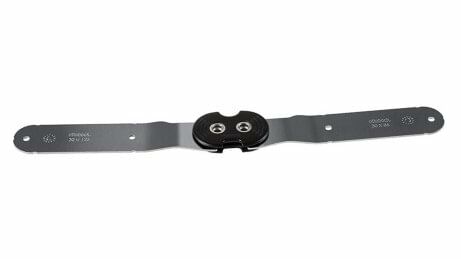 Stable straps ensure a good fit and extra support for the orthosis. When positioned parallel to one another, they provide additional stability. When crossed, they prevent hyperextension of the knee. The orthosis can be opened fully, making it easy to put on and take off. 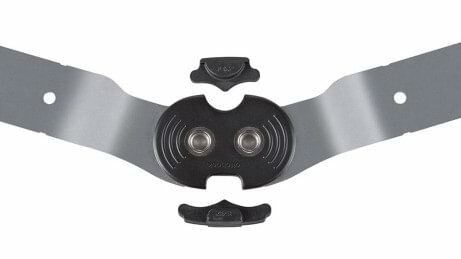 The open version can be opened fully and comfortably wrapped around the leg. It offers a more individual fit in comparison with the closed version. You can step into the closed version from above, like trousers. Two lateral finger loops make it easier for you to put on the orthosis. 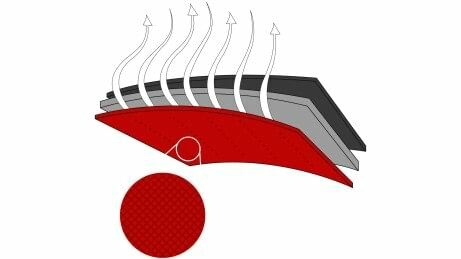 The soft TriTech material ensures excellent wearer comfort. Thanks to its special textile structure, the orthosis does not slip when worn. Your orthopaedic technician can adjust the orthosis for you in just a few steps in order to limit extension and flexion incrementally. 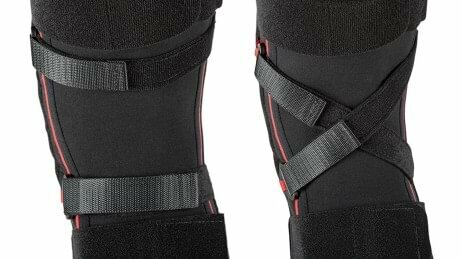 The orthoses feature two circumferential straps and covered joint bars with a slim design, making them suitable for contact sports as well. Knee complaints with moderate to severe ligament laxity and/or moderate to severe feelings of instability in order to secure and/or relieve the physiological tracking of the knee joint where temporary or permanent extension and/or flexion limitation of the knee joint is indicated.